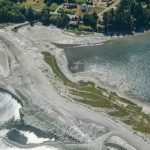 Estuary Restoration at Post Point Lagoon – Experts in Puget Sound coastal processes, management, and cost-effective design since 1993. Post Point Lagoon is a small pocket estuary located south of historic downtown Fairhaven in Whatcom County, Washington. Squeezed between a wastewater treatment plant and a railroad revetment, historical fill placed along the shore limited the function of this estuary. The wastewater plant, trails, and rich cultural (archaeological) resources presented constraints on all asides of the site. 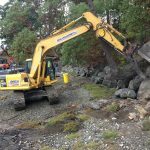 CGS provided an estuarine and salt marsh enhancement design to the City of Bellingham Public Works Department to improve habitat conditions at Post Point. The design plans included an expanded upper intertidal area at a seasonal stream mouth, in which salt marsh species, such as pickleweed and saltgrass, could grow. CGS designed four smaller “micro-estuaries” (shown in image) to be created within the confines of the small estuary. Post Point Lagoon now has an expanded habitat area in which critical estuarine flora and fauna can thrive. In the photo below, from the Department of Ecology, an adjacent restored and enhanced pocket beach is also visible immediately to the left (north) of the estuary. CGS completed site assessment, design, construction oversight and monitoring for Bellingham’s Marine Park, which won the America’s Best Restored Beach award in 2009. 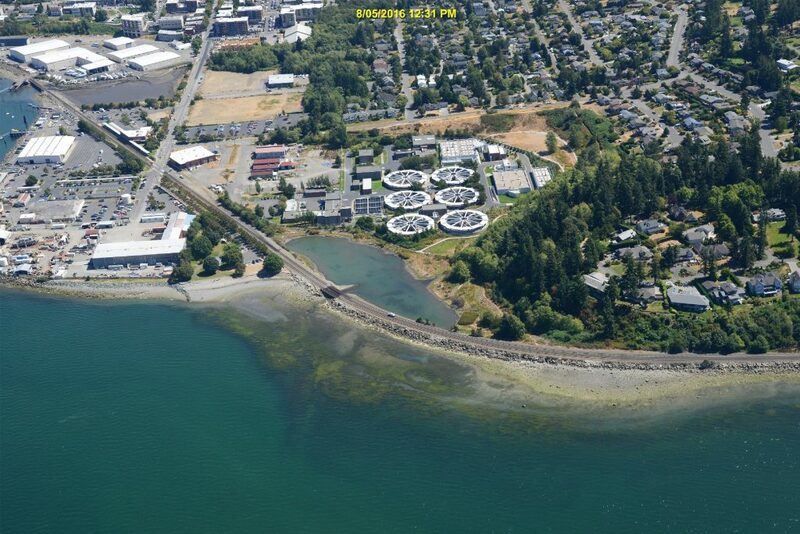 The CGS estuary design was also used as a template for a similar project just to the south, which provided mitigation for subsequent work at the wastewater plant.